First and foremost: Do not assume that you should not watch the play. You should. 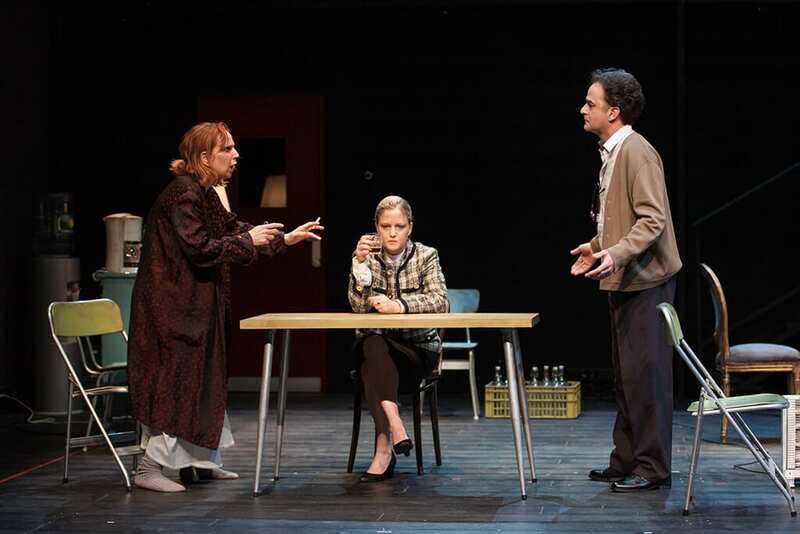 It has its classic status of a well-known and well-liked French play, that wisely combine Tragic storyline with aliments of a Farce. How come? 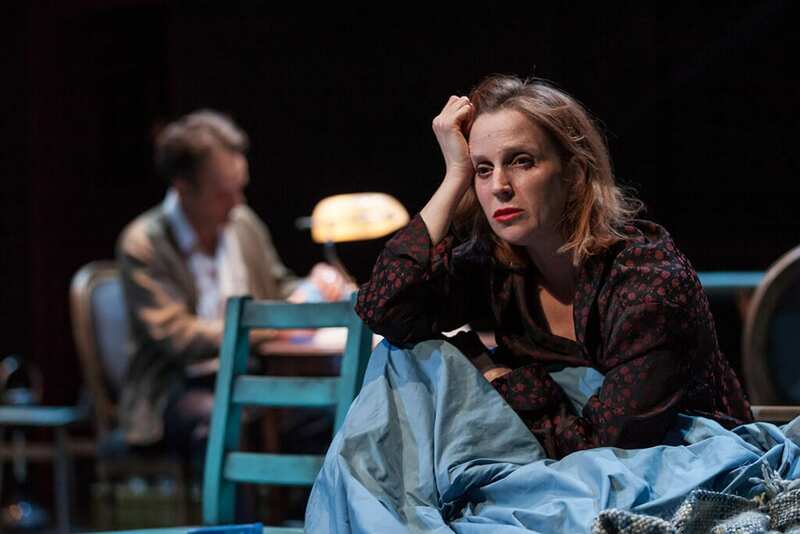 Well, Cocteau implies that this is the sense of life; they’re both tragic and hilarious, and necessarily combine ironic situations, house-cards of secrets and ridicules surprises – even if sad ones. Life is winding and fluctuates by each and every one of our weaknesses, in crazy ways which influence us all. Léo (Naome Fromovich) says it marvelously During the play: “Just because all of us are fucked-up, it doesn’t mean that we can’t be humans”. 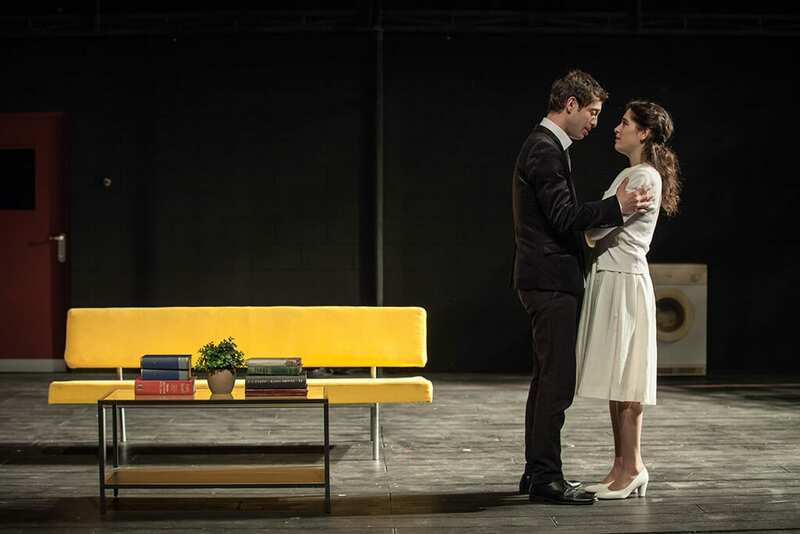 The play shows us the story of Yvonne (Shiri Golan) and her husband, Georges (Amir Krief), who was about to marry Yvonne’s sister, Léo, about twenty years ago, but instead, he chose Yvonne. Léo is still in love with Georges and lives with both of them to clean and organize their untidy house and lives. Yvonne is obsessed with her son Michel (Tom Hagi) in what seems to be a deep Oedipus complex, and Michel falls in love with young Madeleine (Avigail Harari when I saw it, sometimes played by Jade Daiches Weeks). Yet, oops – Madeleine had an affair with someone else until lately, I won’t tell you who, but I promise it provides some juicy troubles. The acting in that play is nothing less than a stirring piece of art; the actors’ intentions are clear, they make you stare at the stage with your eyes and ears wide open, and basically, this is the main reason to like that implementation. 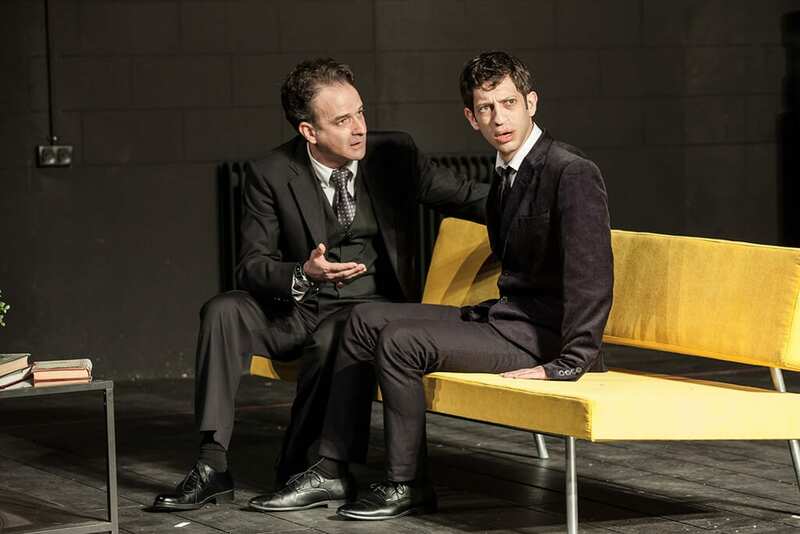 Golan plays the annoying Yvonne in an accurate way, Harari is – as always – powerful and emotional; Krief and Hagi are convincing and act perfectly, and, Naomi Fromovich is stunning – charismatic, funny, both extrovert and sophisticated. Also, the music by Eldad Lidor – is on the spot. Everything seems to be done nicely. So, what wasn’t “it” on the play? The set design, done by Kinereth Kisch, was good, but a few details weren’t. The family’s washing machine was left there when we “moved” to Madelene’s house (on purpose? ), the stage changes and movements were so slow that the crowd started to clap. On another matter, there were almost no funny breaks on the text, only almost-entertaining, which is generally not a problem in dramas but in this case – when most of the scenes include yelling and whipping – they could of give you at list a few pauses of real humor. The mise-en-scene was good until the unclear part where all the chairs were organized on a raw. It may make some sense, but I’m not sure it’s the best idea for the scene. And from the minute when Yvonne started to collapse, In the end, we all felt a bit embarrassed; it was too dramatic at that point, to unreliable, and there was no empathy to any of the characters who acted really strange with the collapse. 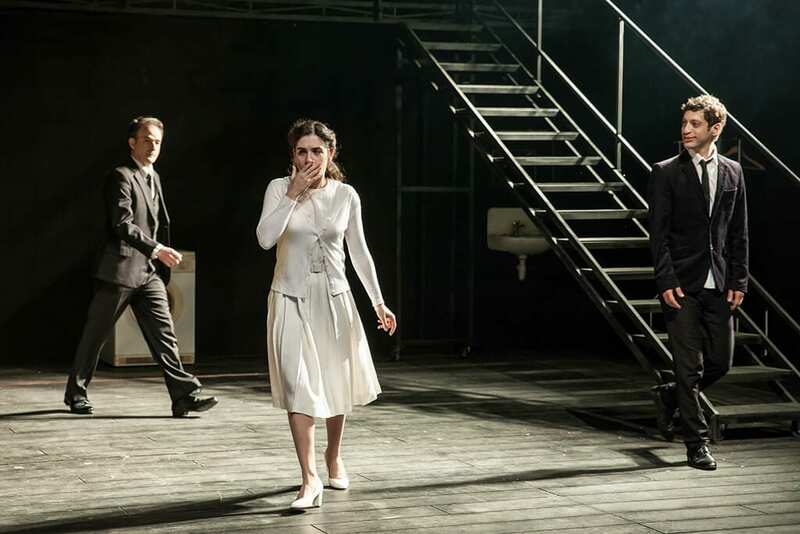 Until this moment, the tensions on stage manages awesomely, but the end was frustrating and should have been done differently (although – spoiler alert! – the death was quite convincing). Eventually, I can’t say that the play left a ticking taste on my tongue, and that is the failure that’s in it. I think that a different rhythm and conduction of the ending could improve it considerably.